Isaiah’s prophetic directions to Hezekiah were pretty specific to his own situation. Most of us do not get a heavenly heads-up before our final exit from this life (although a few of us get sufficient advance warning from circumstances and surgeons to nearly qualify). Still, all of us would be well served to apply Isaiah’s instructions to our own situations. One day the call home will come for most or maybe all of us, and it seems awfully silly to be caught by surprise for the one date we can hardly expect to miss. I won’t belabor the more common necessary preparations: plenty of cautionary tales about what happens to the estates of those who die intestate are out there on the Internet for all to see. 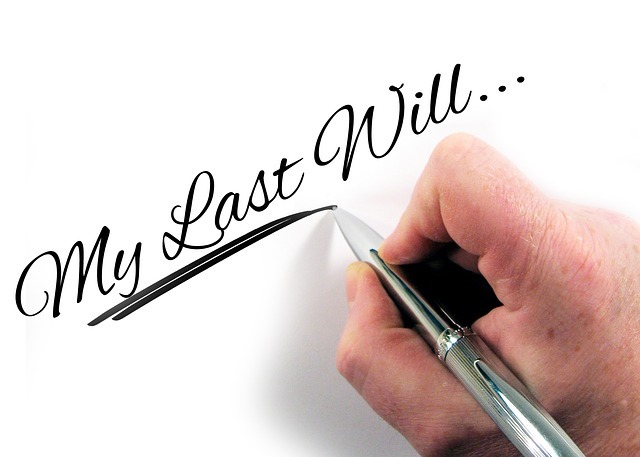 Anyone with a concern for the stewardship of the talents committed to their care by their Master will find a last will and testament to be an obvious starting point. Equally, most young couples, I think, have some idea who they’d like to care for their dependents if for some reason both were to depart unexpectedly and simultaneously. When we had small children, that was one of the first things my wife and I discussed. In these most basic areas, I trust most of us have our houses in order and those who don’t are at least conscious they ought to be giving the matter greater consideration. Who Will Fill the Vacuum? But despite the fact that Christians are not generally uniformitarians, unless we are getting a bit long in the tooth, most of us have a tendency to assume we will be around to finish the things we are currently at work on. But what if we aren’t? Ask yourself this question: If you were suddenly gone tomorrow, who would teach your Sunday School class? Is your house in order that way? If not, maybe there’s an eager, spiritual 17-year old who could benefit from watching you teach class and pitching in occasionally. How about this: Who among the younger middle-aged men in your church could be called upon to replace you as an elder, not ten years down the road but next Tuesday? If the answer is “nobody”, that’s something to think about; your house may not be quite in order yet. Ladies, those younger women you’ve been discipling: who would they turn to for comfort, advice or practical wisdom if they didn’t have you? Do the neighbours you’ve been witnessing to have contact with any other Christians at all? If not, it might be time for someone from church to “accidentally drop by” the next time you’re having coffee together. And if you haven’t got any ongoing spiritual responsibilities in your church or neighbourhood to worry about passing on to others, um ... why not? Most of us think the future holds something not dissimilar to the present, maybe just with a little more arthritis and more regular colonoscopies. And maybe so. Indeed, whose WILL they be? Let’s hope they’re going somewhere; into the hands of someone responsible and prepared. This man had no succession plan. His house was disordered. Part of being rich toward God is thinking the same way God thinks about our earthly future, and acting accordingly.